With its distinctive architecture, the High Deck Estate is internationally known. In order to improve relations in the former social troublespot, there is the neighbourhood centre mittendrin, which has now been extensively renovated. An example of the successful commitment of volunteers, management and policymakers – and a sign of the transformation in the Neukölln neighbourhood. 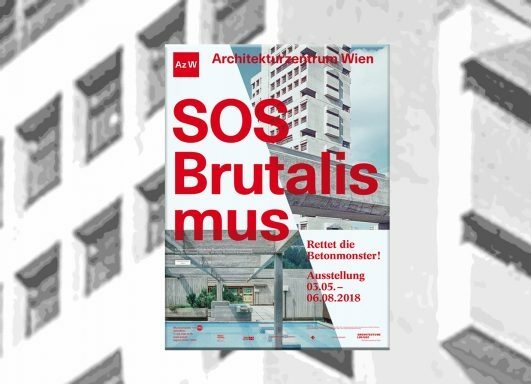 The current exhibition “SOS Brutalism – Save the Concrete Monsters” can be viewed through 6 August 2018. Recently, there was a chance for BUWOG employees in Vienna to take part in an exclusive tour through the interesting exhibition. BUWOG has been a partner of the klimaaktiv programme since 2007 and part of the klimaaktiv pakt2020 since 2011. 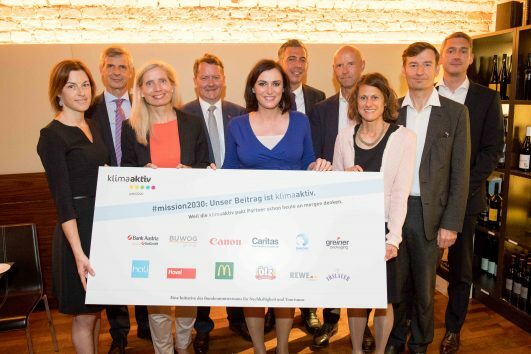 As part of this programme launched by the Austrian Federal Ministry for Sustainability and Tourism*, 12 large companies have committed to reducing their greenhouse gas emissions by a total of 96,000 tonnes per year by 2020. 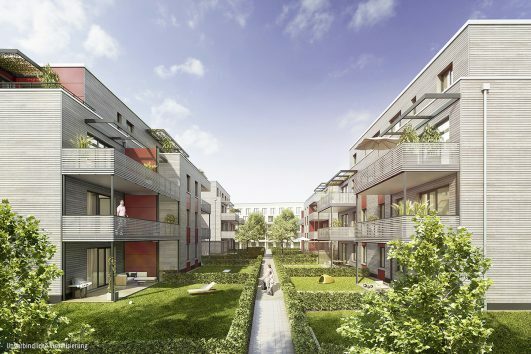 In the southeast of Berlin, the BUWOG Group is constructing four innovative residential buildings using the wood-hybrid method. The regenerative raw material wood offers numerous advantages for people and the natural environment. An interview with architect Claus Kampmann of Kampmann, Fiedler, Fabianski Architekten. 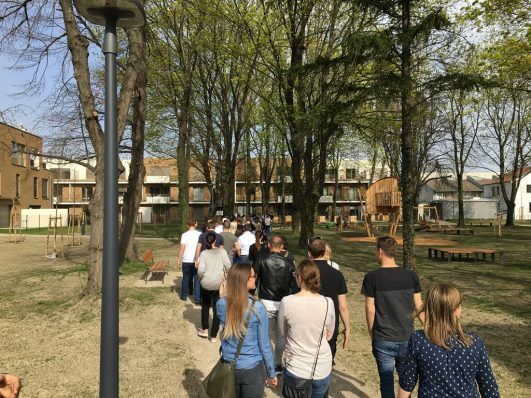 With a 35.2% increase in attendance and therefore 6,505 visitors, the Vienna Real Estate Fair (WIM) at the Congress Center in Vienna in mid-March celebrated a sensational visitor record. 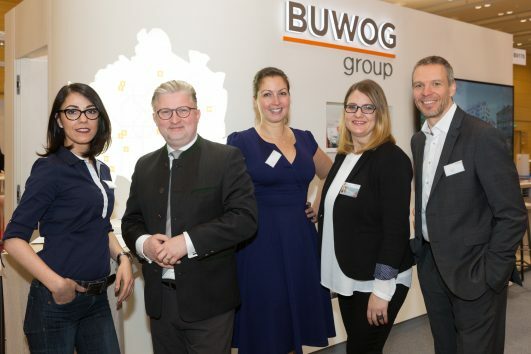 As in previous years, the BUWOG Group was also there with a lecture by expert Peter Berchtold, head of the BUWOG sales department in Austria, and a state-of-the-art exhibition stand. 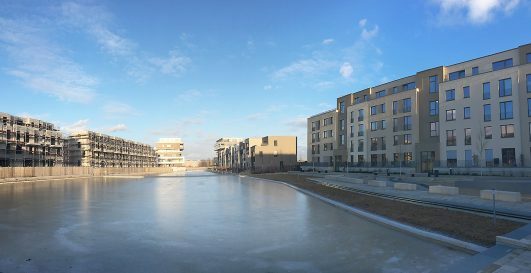 Step by step, the 52° Nord neighbourhood in Berlin-Grünau is growing. The topping out has now been celebrated for the Regattahaus. 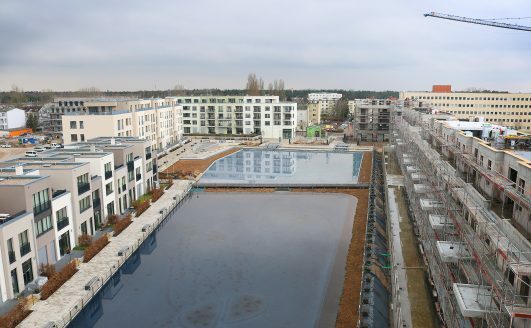 Around 80 guests gathered on Regattastraße, when the Regattahaus was topped out on 14 March. 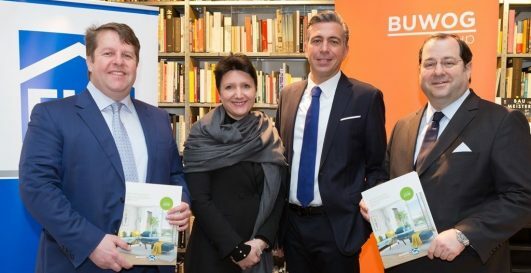 Together with EHL Immobilien, the BUWOG Group presented the now 6th edition of the First Vienna Residential Market Report at a press conference on 1 March 2018. Filming in a BUWOG Group neighbourhood is always something quite special. Whether “Tatort” wants to shoot in Charlottenburg or “Polizeiruf 110” in Neukölln: almost daily, television editors, film crews, photographers and commercial producers report to the BUWOG Group’s press office asking for a film permit. Now there’s a major project coming to the 52° Nord district in Berlin-Grünau: a dark Swedish crime thriller.